Bringing 2013 to an end, here’s the final part of the best albums of the year. Go on, give your ears a treat, they deserve it. Ikeda’s stark exploration of humanity’s increasing interaction with—& dependence upon—the movement of data has found perhaps its most engaging expression in supercodex. On some previous albums (matrix and test pattern spring to mind), his approach has felt so rigorous, and so concomitantly aloof, that the electronics seem entirely bereft of the human touch. Not so here: playfulness dominates Ikeda’s manipulations, causing the raw sine tones and noise clusters continually to reform themselves into irresistible beat patterns and even semblances of basslines. It’ll still give your ears and your speakers a hell of a pounding, but Ikeda’s arguably never made the experience so much fun. Exai finds Sean Booth and Rob Brown getting back to basics. The hat-tipping to ambient softness, a recurring feature of their work since Quaristice, is essentially gone, replaced with chrome-plated beat machinations of fabulous complexity. Combined with a renewed interest in large-form evolutionary structures, Exai represents some of their most strikingly challenging work since Untilted. Trent Reznor’s latest project—featuring his wife Mariqueen Maandig as vocalist—was perhaps always going to be seen and heard in parallel to Nine Inch Nails. In practice, while Reznor’s sonic fingerprints are all over HTDA’s music, there’s a softness and a form of vulnerability here that markedly distinguishes itself from the NIN soundworld. What these songs betray most, though, is elegance; the intricate textures that surround and reinforce Maandig’s voice—clearly the product of intense studio labours—feel nothing less than sculptural. It isn’t often one gets to hear such diverse elements as pimped up Turkish music, experimental electronics, faux radio jingles, French-inflected post-rock, arrangements of ’70s horror themes and ’60s crooners, ritualised orchestral tomfoolery and MoR road music on one album. The reason for such a potentially schizoid release is due to it encompassing no fewer than six of Trey Spruance’s compositional identities. However, Book Of Souls Folio A doesn’t merely hang together but actively clarifies the points of connection and continuity within Spruance’s outlook; the range of his imagination is simply stunning. Reviewed back in October, the single work on this disc is a hugely successful testament to the ways in which improvised music can integrate fully with pre-composed material. As an example of what Lim has called an “ecology of collaboration” it’s impressive enough, but Lim’s ear for surprising sonorities is remarkable, and on top of all that Tongue of the Invisible is both thrillingly dramatic and deeply sensual. Completely immersed? Check. Out of my depth? Pretty much. But then, it’s hard not to find oneself lost—in both senses of the word—listening to Finnissy’s 5½-hour magnum opus for solo piano, yet that only makes the experience all the more exhilarating. Everything about this release is extreme: Finnissy’s relentless compositional invention, Ian Pace’s frankly flabbergasting technique, and his fascinating book-length programme notes—which, once you make it past your tl;dr gag reflex are phenomenally useful. It’s an astounding, revelatory work, and this release is nothing less than a milestone in the history of both composition and recorded music. Essential. Three years have passed since Hidden, but this album reinforces further how far and wide Jack Barnett’s interests lie. Affording himself the riches of additional instrumental and vocal ensembles seems to have unleashed a hitherto tethered scale of ambition. The worlds of pop and rock have never sounded so distant, so irrelevant; Field of Reeds is not so much an album than a contemporary song cycle—can These New Puritans really be described as a ‘band’ any more? Perhaps it was inevitable in this 100th anniversary year of the Rite of Spring that it would fall to Simon Rattle—one of music’s most perspicacious of conductors—to break through a century of gradual over-familiarity and find the essence of what caused such havoc in the first place. Le Sacre still sounds as though it could have been written last week rather than last century, even more so when one hears with such clarity the strange counterpoint, the seeming non-sequitur chord progressions and such wildly Dionysian orchestral pile-ups. With the Berlin Phil, Rattle has enabled the Rite to sound entirely fresh for the century that lies ahead. While it’s unfortunate that so many Nordic acts get saddled with the epithet ‘quirky’, both of Bloodgroup’s previous albums would qualify. But not Tracing Echoes, which will inevitably be looked back on as a turning point in their career. The songs are as gymnastic as ever, but now underpinned by pretty no-nonsense, heavyweight basslines and beat patterns, and they’ve coloured their palette (like the cover artwork) with a black and white selection of hard edges and buzzy sonics. Earnest yet energetic, Tracing Echoes surely elevates Bloodgroup to the status of Iceland’s best group. Black Swan’s ongoing obsession with the subtleties to be found deep within the noise and fuzz of aged recordings continues to yield fascinating results. Redemption is in many ways a brighter survey; it does plumb the depths, but that’s not at all the focus of attention on this occasion. Neither do Black Swan afford the listener as much opportunity to reach into the abstract; both the choice of source materials and the way they’ve been treated emphasises clarity and the particular kind of poignant beauty that emerges from the best and most honest hauntological objects. Having tread the safest of waters for some time, Aidan Baker has hit the jackpot in this splendid collaboration with Troum. Drones, not surprisingly, are the lynchpin of this joint project, but drones that are festooned in a fabulous array of colours and atmospheres, passing between close intimacy (falling to almost sub-audibility in the process) and vast reverberant spaces, examining dense noise and allowing quasi-tonal chords to coalesce out of drifting pitches. Heady, involving stuff that makes the case for the continuing power of drone music. Arguably the best, certainly one of the most ludicrously imaginative artists to have emerged from Scandinavia in recent years, Jonna Lee’s second album is more considered than last year’s kin, but is essentially as carefree as ever. Indeed, some of the songs—’u-2′ especially—let rip with the most joyous abandon, yet as a whole the pace is slowed, the tone reflective. Not many can get away with that attitude atop ceaseless analogue synth arpeggios, but then iamamiwhoami is without doubt the most unique voice in contemporary electronica. In such a secular world as that of contemporary music, the place and role of symbols and rituals has attained a new form of significance. Paul Jebanasam has channelled deeply into that most modern mindset; in my review of Rites a couple of months ago, i remarked how it is “like a five-part liturgy to an unknown god or force”. Certainly the way Rites unfolds has all the structural patience of a liturgy, only gradually moving into its dark, passionate core, a veritable blizzard of resounding echoes and melodic keening. Matt Waldron’s music has a tendency to linger at the liminal point between eccentricity and outright absurdity. This album interestingly draws away from both, presenting instead a more serious soundscape. Waldron handles sound the way a magician might use a cauldron; scraps of ideas from a myriad sources are thrown into the pot sometimes on a whim, sometimes to steep and transform the nature of the whole. In the case of Tuberpendicular, the choice of sounds is as tantalisingly anecdotal as ever: almost nothing sounds synthetic, and the resulting smorgasbord of unrelated, almost identifiable sources impacting off each other makes for an absolutely fascinating aural journey. In a year that saw practically no ambient music of quality, Stephan Mathieu consistently proves that the genre yet has life. Chords hang, melodies slowly form, deep clusters judder at length, motes of material appear and drift—none of this is new, of course, but Mathieu imbues these nine pieces with such interest and beauty it’s as though he was inventing ambient anew. The music has a transfixed, ecstatic quality, and that’s precisely the effect it has on the listener. Really gorgeous stuff. Once upon a time i found it hard to write about Ullmann’s music; now i feel as though i can hardly shut up about it. The single work included on this release—solo III für orgel—continues the argument and practice established in last year’s 3-disc bonanza. Back in May, i described the work’s lengthy drones as “deeply etched grooves within the performance space, a kind of simple grain upon and about which utmost delicate moments of tracery are imposed”. The more time one spends with the piece, the more these very occasional flurries of barely noticeable activity become moments of the profoundest significance. It’s an astonishingly vivid demonstration of Ullmann’s observation that “The less loud music is, the better I can hear it”. In a year that was largely spared significant compositional losses, the death of Zbigniew Karkowski earlier this month (at the age of only 55) came as a shock and a blow. All the more so when confronted by the music in this monumental collaboration. Imagine if the monolith from Stanley Kubrick’s 2001 began to emit sound, and you’ll come close to what Processor is like: an unstoppable stream of calm but resolute noise, throb and shimmer. The way it captures a sense of the numinous lends it an ineffable quality that’s rare in contemporary electronic music. In just 43 minutes, Davidson and Karkowski tap into something absolute and everywhere. Robert Hampson’s decision to revivify his Main project, following a seven year gap, has produced what is far and away the most brilliant electronic work of the year. The only gripe is that, at 46 minutes, it feels so short, but that’s simply a reaction to the astounding level of expertise and invention captured in each of the album’s four tracks. Hampson’s aural melting pot contains a huge variety of elements, essential in order to fashion such kaleidoscopically shifting textures as these. Honestly, it’s tempting to think that The Mount Fuji Doomjazz Corporation can simply do no wrong. Two years ago, on Anthropomorphic (my best album of 2011) they defined fin de siècle jazz; now, in this live performance from the Roadburn festival, they’ve reached far beyond it into a post-apocalyptic hinterland. Such a wasted musical context as this can only bestow on the vestiges of melody a dignity and majesty of the heaviest kind. Ultimately, as i noted in my review in October, the piece results in “a musical and an emotional tabula rasa”; having wiped the slate clean, one can scarcely imagine where they’ll go next. Masterpieces aren’t always obvious, but within just the first few seconds of Philippe Petit’s acousmatic tour-de-force, it was abundantly clear that this was something seriously special. 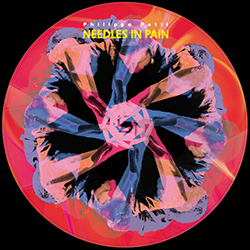 In a way, Needles in Pain is something of an existential musical experience, an examination simultaneously of the practices of recording and playing back sound. Turntables have long been the locus of Petit’s attention, and his 2010 collaboration with Cosey Fanny Tutti, Mist While Sleeping / Invisible Whispers, made the heavily-worn aspects of vinyl playback an integral component in his compositional palette. Here, it’s as though we have personally been integrated into the mechanism (an experience greatly enhanced—almost too much—through headphones), finding ourselves betwixt gigantic styluses, scurrying over scuffed vinyl surfaces, in the process contributing directly to the maelstrom of glitches, pops and scratches that pepper the clamorous, immovable clouds of noise and blasts of more concrete material that become periodically perceptible. In fact, to continue the existential thread, so much does Petit make the music as a whole feel like the spontaneous consequent of our own unwitting participation that it begs the question of whether any of this material can be heard as diegetic. That’s imaginary, obviously, but regardless, it doesn’t prevent a fundamental undermining of the concepts of composer, performer and listener; indeed, it challenges us directly to find our place and our role—or, more likely, on further listenings, multiple places and roles—with respect to Petit’s inscrutable material. i don’t know if i’ve ever heard an album with the ability to provoke such intense inner conflict as this, or to force such a re-evaluation of the entire music-making/-listening experiences. As such, Needles in Pain is unique and amazing, and easily my best album of 2013. Always looking forward to your Year’s Best list, since I usually find some gems in there which I missed. Any particular reason why Boysen’s “Gravity” and Goldfrapp’s latest didn’t make the cut? I was pretty sure they would end up somewhere. Actually, I tend to agree with you, but for some reason I noticed that I heard both albums quite a lot and they somewhat grew on me. The first time I heard ‘Gravity’, I was disappointed as well. However, I found I listened to it a *lot* at work. I know it is small praise when music primarily works as “background music”,but still, I really like it. Boysen has done far greater work, for sure, but you can still hear that he is a masterful producer. Similar for Goldfrapp: there’s no “Strict machine” anywhere; a very quiet and also conventional album, but really solid songwriting with an incredible voice. Both are surely not Top 10 material, but Top 40: yes, absolutely. But maybe I’m just too forgiving since I’m in love with both (although I really didn’t like what Boysen released as “Hecq” this year; that really was just left-overs). I think we can both agree that they can do *much* better. BTW, thanks for your article on Man with Country. They are amazing. “Entropy” is clearly the EP of the year. Perhaps my reaction to ‘Gravity’ was too immediate. i’ve never returned to it for a second listen, but i don’t feel inclined to simply because i’ve heard *so* much of this kind of inane piano-drifty noodling that i can happily live without more. i agree with you about the Hecq release too – ‘Horror Vacui’ was surprisingly limp. But he’s still one of the best – let’s hope 2014 is more rewarding…. Perhaps Boysen & Goldfrapp will feature on someone’s top 40, but considering the outstanding quality they were up against in 2013, they didn’t stand a chance on mine.